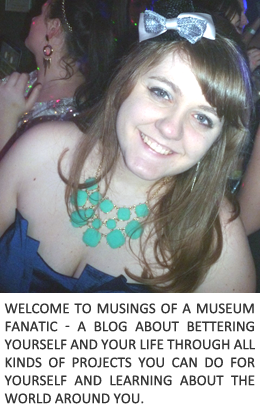 I'm probably a week late and a dollar short on this post but better a tad late than never with a DIY post right? We also plan on using this for other shows and maybe in other colors! 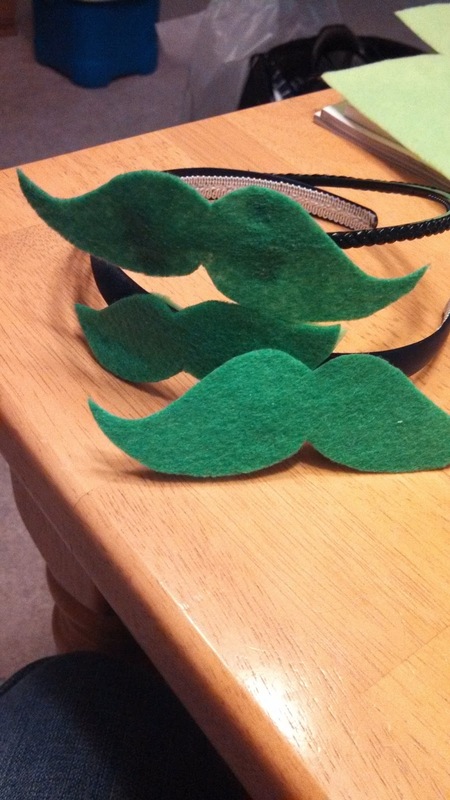 I'm going to show you how to make a cute Stache hairpiece! 1. 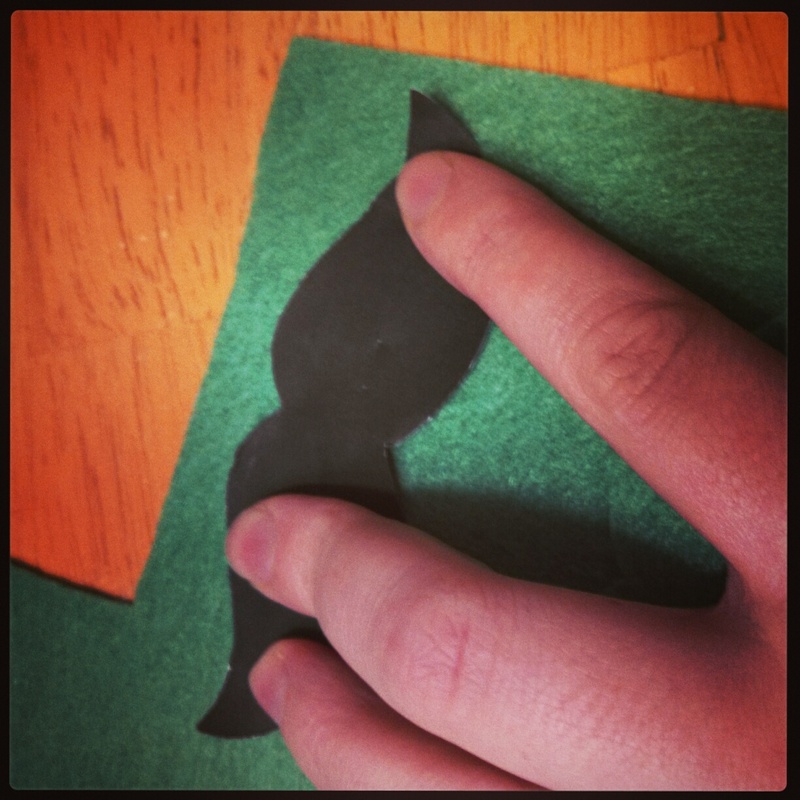 Find and print out a mustache the size and shape you want! That was a lot of fun. There are TONS of different sizes and styles of clip art staches online. 4. 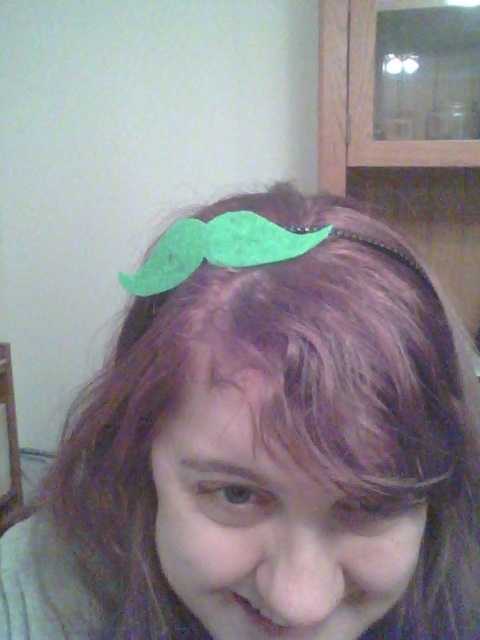 Take your hair clip or headband and figure out how you want to position the stache. 5. 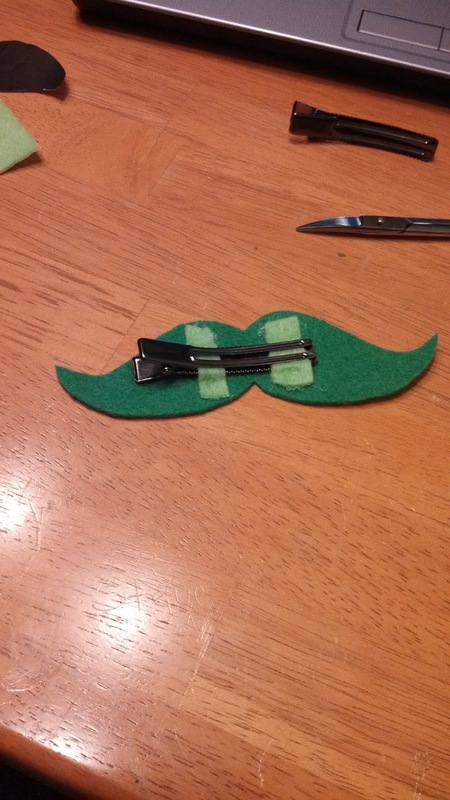 Cut two small strips of felt and place them over the back of the stache & hairpiece. 7. 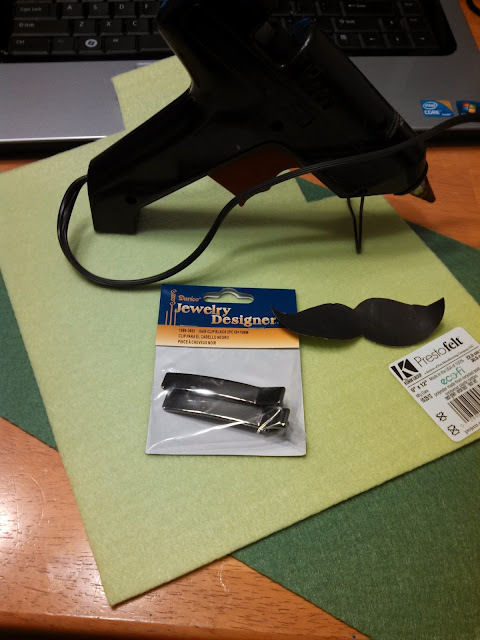 Wait for glue to dry then rock the Stache! ** The light green felt has a sticky back. I would actually recommend using that. It really helped to use it for the little back strips. It gave you extra hold that helped when positioning the hairpieces & so you don't have to use as much glue.